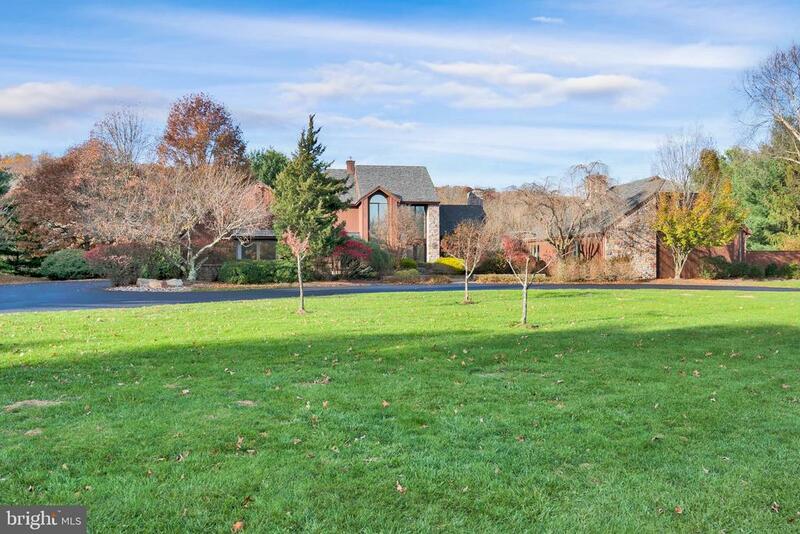 Chapman's corner, one of bucks county's most exclusive neighborhoods, is a peaceful and bucolic setting located in sought-after council rock north's catchment. This luxurious 5 bedroom, 4. 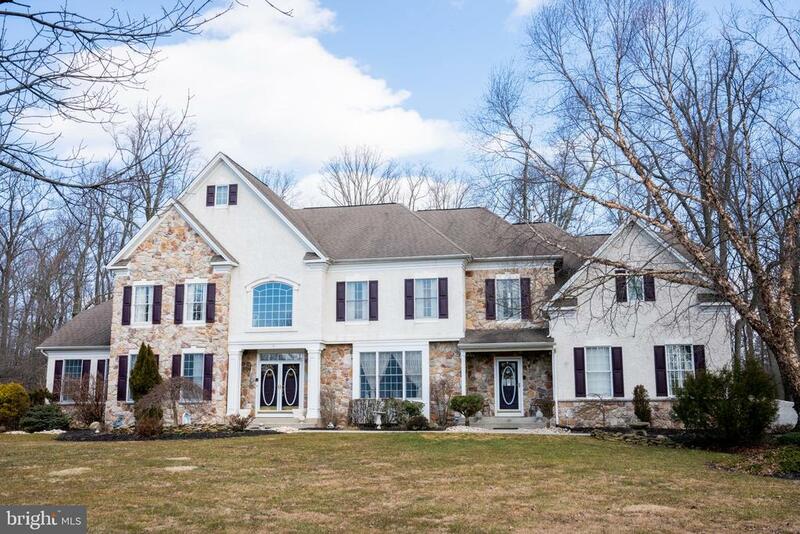 5 bath brick facade colonial home is in a naturally tranquil location, yet close to all the excitement and energy that newtown and lower bucks offer. 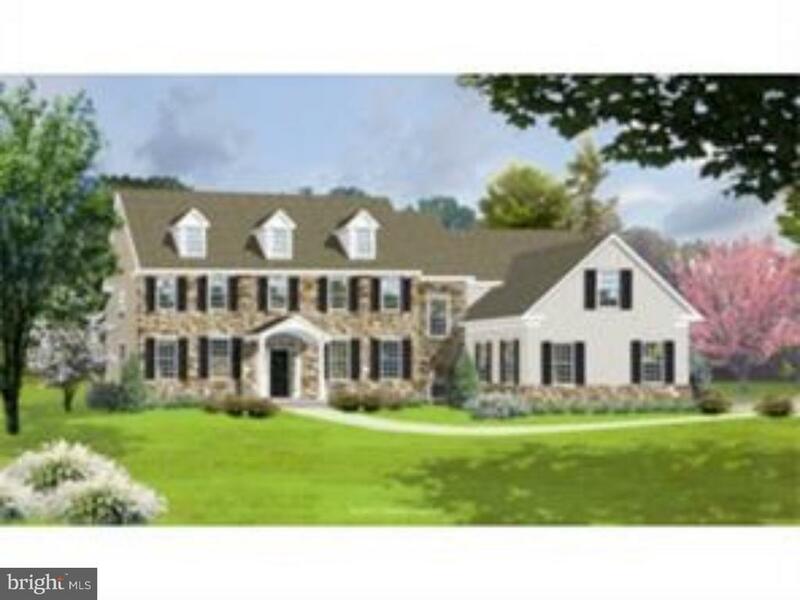 This upscale subdivision has a rolling landscape, cul-de-sac streets and tree lined sidewalks. The inviting home has copious upgrades, many of them recently completed. The sun-filled house has a formal living room, separate dining room and grand 2-story foyer with sweeping curved staircase. Through french doors, off the living room, one finds a delightful conservatory with three walls of windows. It is a restful oasis. Also greeting guests from the front door is an impressive 2-story family room, with floor-to-ceiling stone gas fireplace that is flanked by palladian arch windows. The main level offers hardwood floors and custom shutters, blinds and silhouette shades throughout. The office is complete with custom bookshelves and the mud room is finished with cubbies, storage bench, coat racks, custom shelving and tongue and groove wainscoting. The gourmet kitchen and dining area, as well as, laundry, powder room and pantry complete the main floor. The stainless steel kitchen showcases glazed 42 inch cabinetry, granite countertops, central island, counter height microwave, beverage station with wine cooler and 6 burner gas cooktop. Atrium doors lead to an outdoor paved ep henry terrace, with built-in serving area and grill. The perfect spot to watch incredible sunsets or entertain friends. The upper level is easily reached from either the sweeping foyer staircase or separate kitchen stairs. Upstairs, a balcony overlooks the family room and foyer. The soothing master suite features tray ceiling, massive custom walk-in closet and en-suite bath with whirlpool, frameless shower, upgraded lighting and dual vanities. A guest bedroom is a princess suite with its own full bath. There are also three generously-sized bedrooms for a total of five upstairs; two with custom shelving units that frame a central window. The extra-large hall bath features a double vanity and new lighting. The lower level offers a gigantic fully-finished basement with atrium door walk-out, newer full bathroom and three storage rooms. 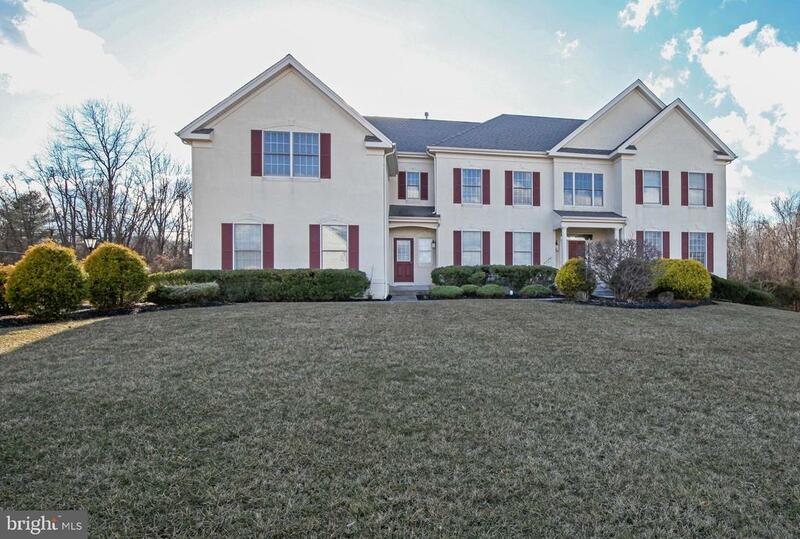 The home is professionally landscaped with 3-car garage, custom flag pole, basketball hoop and new exterior upgrades, including, hardieplank siding, several windows, basement door, planked chimney, front portico roof, shutters and lighting fixtures. This home, (offering 4,447 sq. Ft. In main space (assessor) plus another 1360 sq. Ft. In finished basement (seller)), is in move-in condition with its neutral decor and meticulous maintenance. The perfect place to call home. 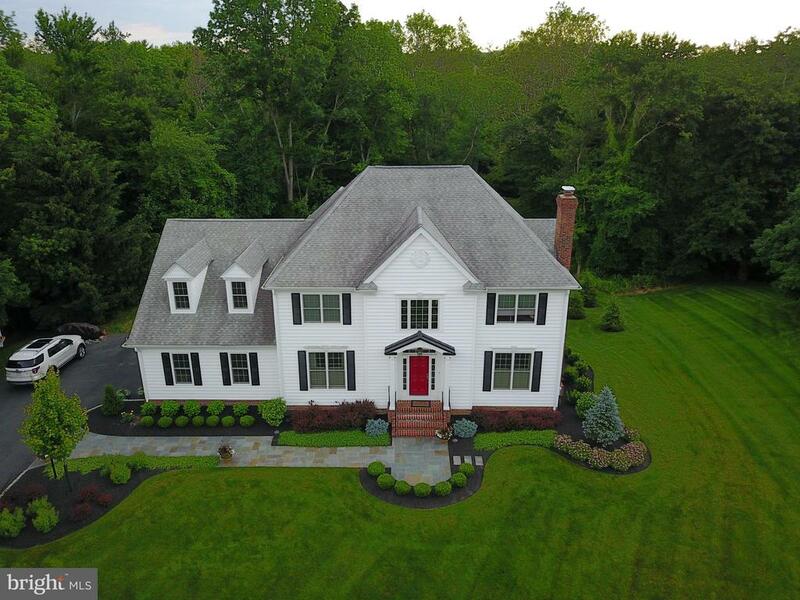 Located in upper makefield's highly sought after and prestigious community of three ponds, this spectacular home sits majestically on one of the most beautiful lots in the community. 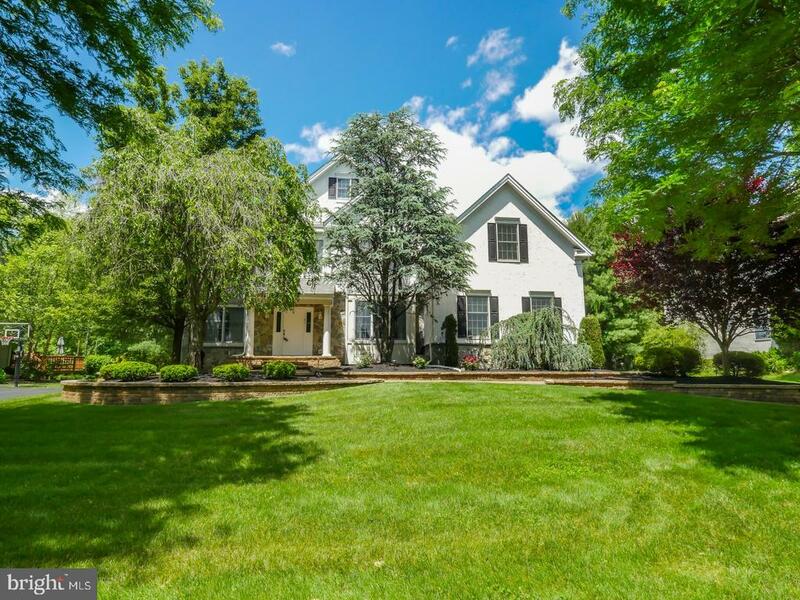 Backing to woods with gorgeous long distance views and preserved open space, this 10 acre, end of cul-de-sac lot features immaculate landscaping, manicured walkways, and a first floor master suite. A dramatic entry foyer with open stair leads to the formal living & gracious dining rooms designed to entertain on any scale. Soaring ceilings with seemingly endless windows with transoms illuminate the great room with handsome fireplace and built in wet bar. French doors open to huge wrap around deck that allows access to enjoy the peaceful treelined views from almost every room on the first floor. The eat in kitchen boasts a large center island and an abundance of cabinetry. Adjacent is a large breakfast room that overlooks this private oasis and opens to the deck for breezy al fresco dining. A window lined hall with marble floors leads to another den with a fireplace and into the impressive main floor suite. It is complete with double walk in closets and fully renovated bath with jacuzzi tub and dual vanities with granite countertops and an oversized shower. Upstairs are 3 more bedrooms one with its own updated en suite full bath and a full hall bath. A walk out finished lower level offers a full bath and additional living space. Outdoor living at it~s best is enjoyed by the endless multi-level deck and an in- ground pool and a private spa overlooking this amazing setting with views of jericho mountain. An amazing opportunity in council rock school district!